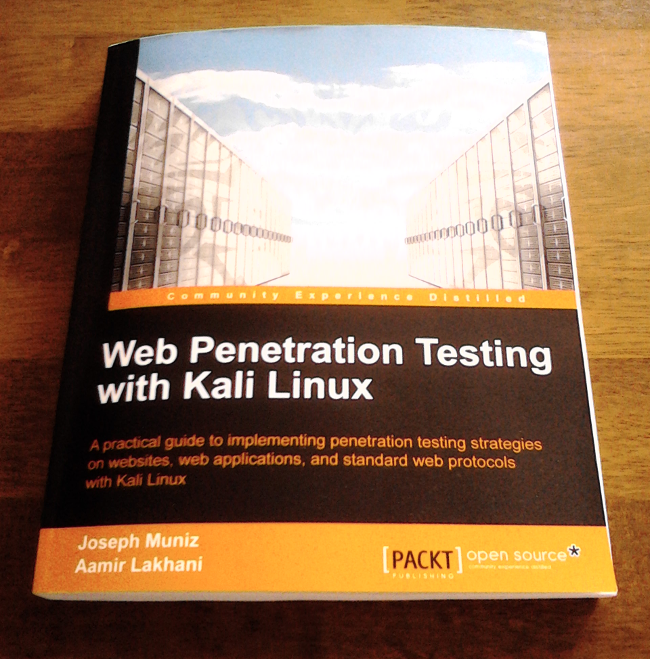 Web Penetration Testing with Kali Linux is designed to be a guide for professional Penetration Testers looking to include Kali in a web application penetration engagement. Our goal is to identify the best Kali tool(s) for a specific assignment, provide details on using the application(s), and offer examples of what information could be obtained for reporting purposes based on expert field experience. Kali has various programs and utilities; however, this book will focus on the strongest tool(s) for a specific task at the time of publishing. Chapter 1, Penetration Testing and Setup, provides an overview of Penetration Testing basic concepts, professional service strategies, background on the Kali Linux environment, and setting up Kali for topics presented in this book. Chapters 2-6, cover various web application Penetration Testing concepts including configuration and reporting examples designed to highlight if topics covered can accomplish your desired objective. Chapter 7, Defensive Countermeasures, serves as a remediation source on systems vulnerable to attacks presented in previous chapters. Chapter 8, Penetration Test Executive Report, offers reporting best practices and samples that can serve as templates for building executive level reports. The purpose of designing the book in this fashion is to give the reader a guide for engaging a web application penetration with the best possible tool(s) available in Kali, offer steps to remediate a vulnerability and provide how data captured could be presented in a professional manner. The Download Link was Updated !